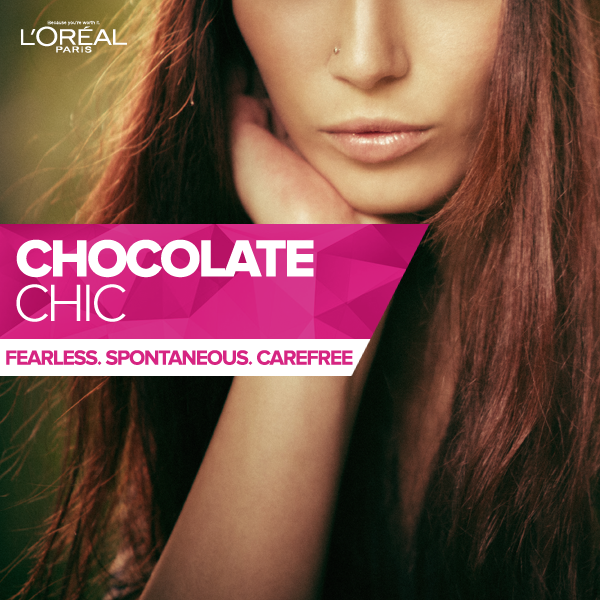 L`Oreal Paris has come up with three luscious, rich chocolate shades in the Casting Créme Gloss Hair Color Range which all boast of a distinct personality that we all can identify with. Based on these shades, they have created looks as they believe that every girl will find herself in one of them! 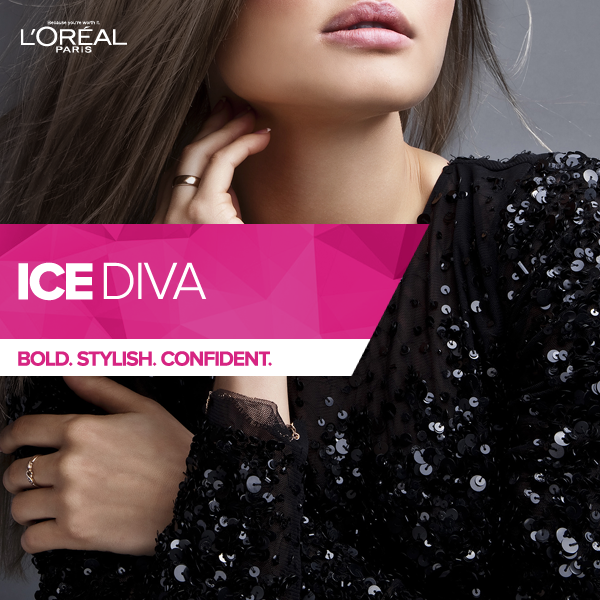 For Iced Chocolate - We bring to you Iced Diva! She is bold, she is stylish and she shimmers brighter with every step. She loves a Saturday night out or a lavish shopping spree with her girl friends. Jet Black dresses and stilletoes are her absolute favourite! To get her style, shop HERE. For Black Chocolate - We bring to you a traveller, a wanderer, a dreamer - Chocolate Chic. She is spontaneous & loves an occasional long walk on the beach and dresses wild and free with crop tops, harem pants and bold jewellery. To get her style, shop HERE. For Golden Chocolate - She is poised, she is elegant, she is classy, she is perfect! Your girl next door with a gorgeous smile and a sense of style. Golden Goddess loves her Sunday brunches and quiet dinner dates. She wears timeless colours and shines with the exuberance of Gold. To get her style, shop HERE. 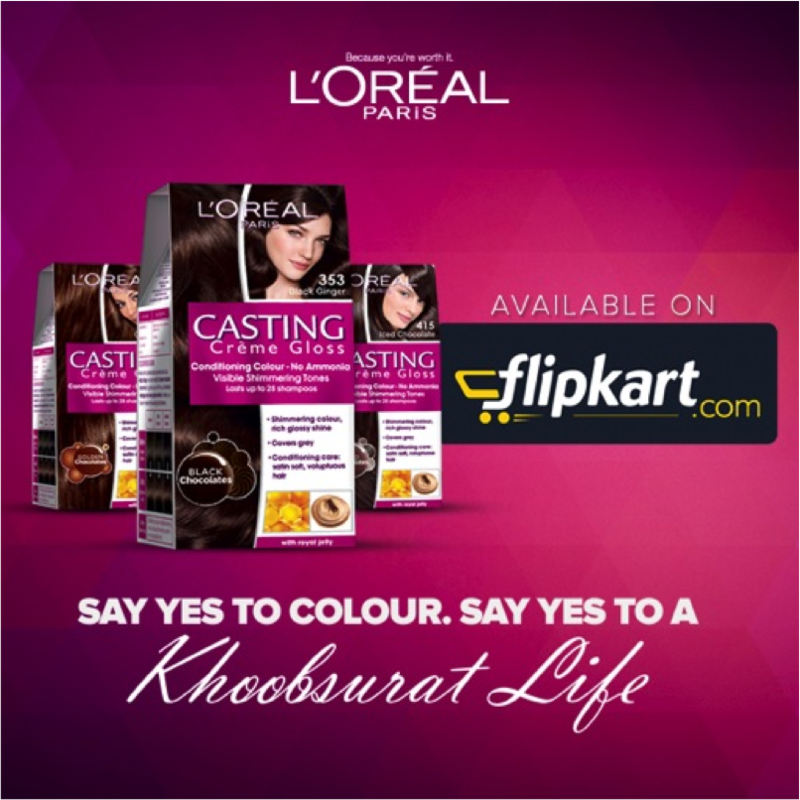 With this in mind L`Oreal Paris has announced the launch of their first exclusive Say Yes to Colour Store on Flipkart where they showcase trends for these characters that YOU set with them! You all can also participate in the Mega Contest hosted by Flipkart & L'Oréal Paris where you get to win the entire look worth Rs. 10,000 on building your personalities even further ! To read my hair story and see my experimentation with hair color over the years, visit the link here. DO NOT MISS THIS OPPORTUNITY FOR PARTICIPATING IN THE MEGA CONTEST & WINNING THE L`OREAL PARIS LUCKY HAMPER WORTH RS. 10,000/- YOU NEVER KNOW, YOU COULD BE THE LUCKY ONE ! AND ALL IT TAKES FOR YOU IS TO CLICK THAT BUTTON !